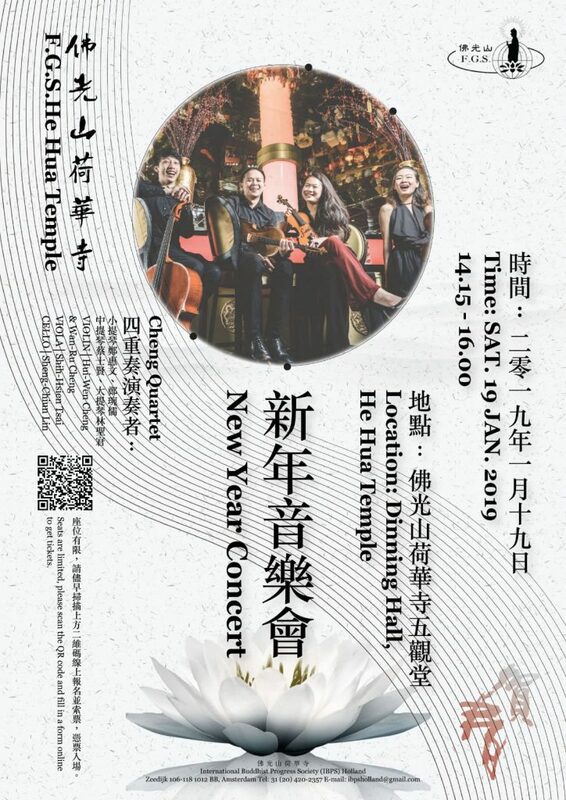 In response to Master Hsing Yun’s philosophy of spreading Buddhism through music, the first New Year concert of the Hehua Temple will be held on January 19th at 14:15–16:00 next year at the Hehua Temple. We have invited Cheng Quartet, who graduated from Conservatorium van Amsterdam， to play an inspiring repertoire for us. With Vivaldi’s “Four Seasons” as the main axis, interspersed with the “sounds of the Human World” from Fo Guang Shan Monastic Order and the classic songs from Taiwan and the Netherlands, together with well-known film soundtracks and classic Western songs and other soundtracks to lead everyone to experience the spring, summer, autumn and winter around the world! Available seats are limited, please book your ticket as soon as possible. You can only book your free admission ticket through online registration via the link below and the QR Code on the concert poster. Get your ticket timely: Please finish the online registration before January 12th. If the information is correct, you will receive a confirmation email, including ticket number and notification to pick up your admission ticket during January 5-13 to 12:00–17:00 at the Hehua Temple. 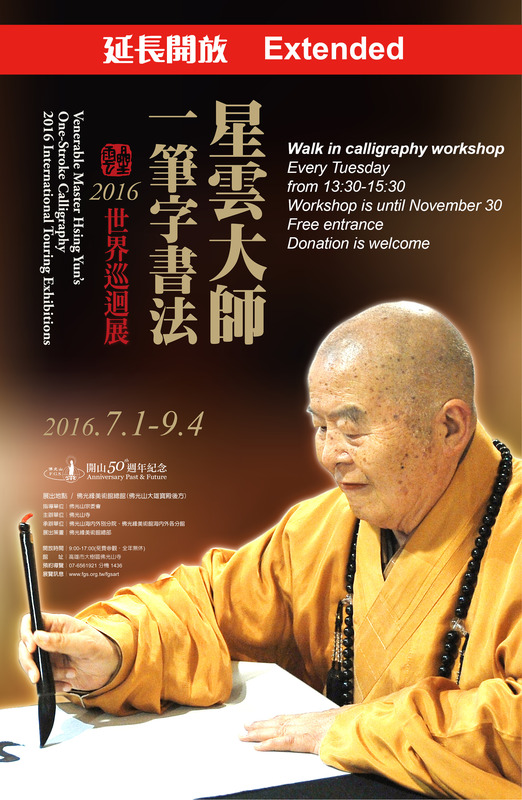 We sincerely invite everyone to come to the Hehua Temple to participate in this musical feast.